As you are likely already aware, April 2nd is World Autism Awareness Day, or, WAAD for short. To be aware of something is to “have knowledge of”, according to the dictionary. I think a more accurate description would be “to be conscious of the existence of”, especially when it comes to autism. The reason I say that is because just about every parent I’ve ever talked to, and I even have to include myself in this, was aware of autism, in that they knew it existed, but really didn’t know anything about autism at all until they had to. That is to say, they had seen the commercials and were told that children were hurting themselves or unable to go to school… but they really didn’t know how autism affected people. They didn’t know the signs to be able to recognize it in their own child. They were aware. It didn’t help. So to shed a new perspective on this, I thought I’d lay out some observations, some concerns and even some suggestions in moving forward with this “autism awareness” thing. Autism statistics usually come in the form of ratios, such as how many kids out of how many kids will be diagnosed with autism. But they don’t stop there. There is complimentary information that goes along with that such as the likelihood of having autism if your family has a history of it, of having a second child with autism, the added probability if the baby is a boy, the chances of autism going up if the mother or father is of a certain age, proximity to a highway, birth information such as c-sections, premature birth, underweight babies, jaundiced babies and the list goes on and on and on. There was even one study that suggested that countries that get more rainfall are going to have higher autism rates. Many people dedicate their social network activity on Autism Awareness Day to sharing these tidbits of information in an effort to do their part in raising awareness. Copying and pasting every piece of information from every autism fact website that they can find so that anyone that views their activity that day will become increasingly aware of autism. This method really only has 2 possible results. 1. You reduce every single person, mostly people with autism but even those without, into a number. You strip away all humanity from these people and leave, in their place, a number on a research paper. People stop thinking about people out there struggling, coping, doing well or not and they start thinking, I hope my child doesn’t become the 1 in the 88. The reason for this is that awareness needs to be accompanied with educational material to be effective. And I’m not talking about just numbers, as in the last point about facts and figures. I am talking about thorough, well rounded and well articulated information. This is what leads to understanding. Which is extremely important. 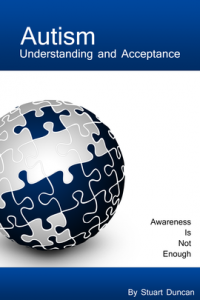 Awareness is quite literally the first step towards understanding and acceptance. You can’t possibly begin to understand something that you are not yet even aware of and you certainly can’t accept it. So awareness needs to happen. There is no denying that. However, left alone, it takes an altogether different path. Awareness, all by itself, especially in the case of something such as autism, will lead to fear. Consider this, if you are not aware of something, you can’t possibly fear it. But if you do become aware of something’s existence, but do not know anything about it, the natural reaction is fear. You can watch any sci-fi movie or talk to any psychologist to see that. It’s called “fear of the unknown”. It’s really quite powerful. And any autism parent can tell you, most people, like all except a few, were aware of autism but didn’t know anything about it at all until it came time for their own child to be diagnosed. And in between the time when they became aware of autism and the time that they began to research it, they feared it. They wished and prayed and begged that autism would never enter their lives. Because they read the tweets, they saw the nicely crafted images and they were all too aware of the scary facts. But it was still something they knew absolutely nothing about. The Choice: Acceptance or Fear? After a child is diagnosed, most parents feel a sense of guilt, or remorse or even anger as they are forced to come to terms with this thing they’ve been aware of but hoped would never happen to their own child. At some point though, for all parents, eventually they’ll come to a point in their lives where they’ll be forced to make a decision. It’s not a conscious decision, it happens entirely without them realizing it sometimes, but ultimately, they’re going to find that they’ll have to decide between putting the fears and doubts and grief and anger behind them and accepting their child for who they are or not accepting any of it and embracing the fear. What I mean by “embracing the fear” is that some parents fight against the autism and thus fight against their own child, pushing them to not be themselves, to not be autistic at all and take that fight outward as they try to find someone or something to blame and forcibly share more and more information that they find in an attempt to perpetuate the fear onto others so that they can fear autism as well. Awareness is mandatory. It has to happen and it’s been happening for a good long time. But it must coincide with good information. Imagine your very first day of camping. You’re in a tent and it’s very dark out. You hear a noise just outside your tent, going through your stuff. You’ve heard about just how many dangerous animals there are. You’ve been told about how often campers encounter those dangerous animals. You immediately become aware. You know something is there. But you don’t know what. The fear of the unknown grips you as you are all to aware that it could be one of a million things in the forest. The feeling takes over and you decide it’s best to just pull the sleeping bag over your head and hide rather than look out to see what it is. Now imagine you begin to hear little feet scurrying. And then you hear a noise that you know is the sound that a chipmunk makes. You recognize the signs and your tension releases as you realize that you left the lid off of your jar of peanuts. This is how life is for many people when all they know of autism is what they see in bullet point lists from the media or awareness day campaigns. When a new parent reads “more children are diagnosed with autism each year than with juvenile diabetes, AIDS or cancer, combined“, they’re not only scared because that must be one really huge number but also because you’re just associated autism with stuff that would kill them. Even if a person tries really hard not to, they can’t help but look at that sentence and think “oh no, I hope my child doesn’t have that, that, that or that!” and suddenly, in their mind, autism has become a terminal disease. And that is beyond scary. Autism awareness is not a copy and pasted bullet point list. It’s stories, it’s faces, it’s names and it’s real human lives. It’s tales that are told of how things used to be and how you wish they could be now and hope they can be tomorrow. Autism awareness is about a community working together and supporting each other to relieve the tension and to ease the fears, not add to them. No, no one is asking you to try to paint such a wonderful picture that people start wishing their next child could be lucky enough to have autism but I am asking that you try to not paint a picture that has people fearing autism more than aids and cancer combined. I’m asking that you stop and take a moment and question to yourself, before you say or share something, what is it’s purpose? Will it inform a person or scare them? Will it help them when they have a child or will it make them not want to have a child at all? Will it make them want to hide or will it make them want to look outside of their tent to find out more? I can honestly say, I’ve read far too many emails and private messages from young potential parents that are hesitating as they make the decision to have a child. I’ve also read far to many messages from people that actually made the decision to not have children. And all because of the awareness they’ve been given without the information to know what it is they’re really basing their decision on. Awareness has to happen. And I commend you for doing your part. But please don’t stop there. Tell your story. Tell a tale. Show us a real human life. Because I don’t want great people to not have great children just because they’re afraid of what they don’t understand. 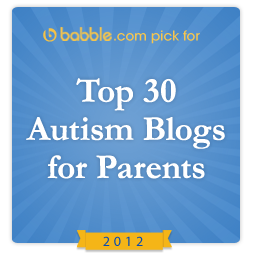 It was just about this time last year when Babble.com contacted me to tell me that I made it into the top 25 autism blogs for 2011… it was quite the shock! I was 21 out of 25. Well, here I am, once again being shocked as they include me into their now updated list of top 30 autism blogs for 2012! This time, I’m 26 out of 30. Which is a bit humorous because if they had kept their format and stuck with 25, I wouldn’t have made the cut. So thanks Babble for extending the list!! Oh, and whom ever is 31….. SORRY! I’m not sharing this list to gloat, it is nice and all but it still doesn’t get me that cherry red corvette I’ve always dreamed of. Instead, I’m sharing this so that you can check out the rest of the list! Go and read, bookmark and enjoy! It’s Autism Awareness Month so venture hense forth and become aware of some other great blogs! 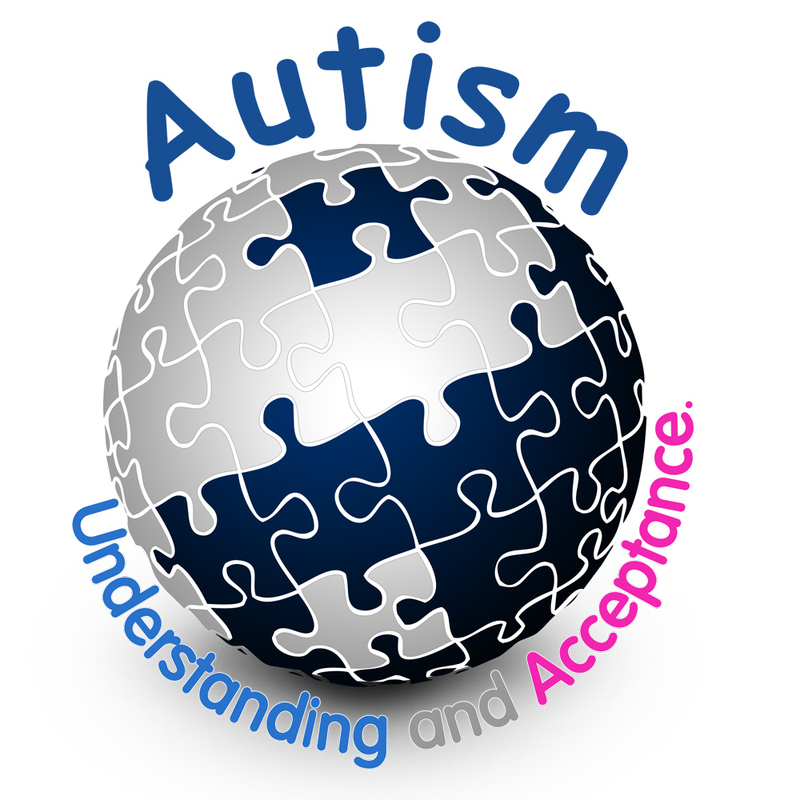 So the month has begun… the month to bring Autism Awareness to the world. More so, to go beyond awareness and try to help people understand the people that have autism, help people understand how autism affects those people’s lives and most importantly, why they should want to know more about autism before they it comes time for them to need to know. To start the month off, I thought I’d start with some straight forward information. The WHO (World Health Organization) estimates that there are 1,100,000 cases of autism in China; 650,000 in the UK; 500,000 in the Philippines. The cost of autism over the lifespan is 3.2 million dollars per person. Thoose who have more than one older sibling with ASD are about twice as likely to also be diagnosed with ASD, compared to those who have only one older sibling with ASD. Here are some blogs that I particularly enjoy and find to have very honest, accurate and even bold points of view, where you can and will learn a lot about autism, should you choose to read them. 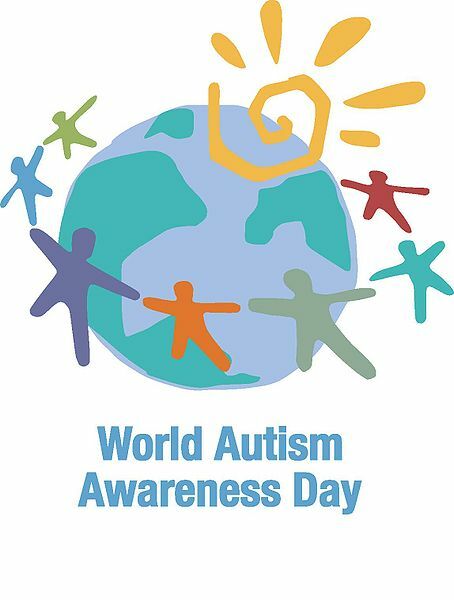 I ask that you please take the time to read at least one article/story about autism that comes to you in your travels around the internet during the month of April and share it. Don’t just pick one at random though… pick one that looks like it may really move you or cause you to feel one way or another. Take the time to really read it… even if it’s just that one time. And if it does move you, for good or bad, just so long as it makes you feel something… share it. Share it with your social media friends/followers… simply because I asked you to. Please do not share to raise awareness. Everyone has heard of autism by now. Instead, share to raise understanding. Share to help others be moved as well. Because if you feel moved, if you feel anything, that means that you’re thinking about the person. It means that you are looking beyond the disorder. When that happens, as more and more people begin to really understand, we’ll finally begin to see just how silly our notions of “normal” really are and how judging we can be sometimes when someone doesn’t fit that notion. Only through understanding can there be acceptance. Only through acceptance can we truly be aware. While checking around the various social networks and news sites, I came across this About.com news story: “Parents Magazine Ignores Autism Awareness Month“. The good news is that this is likely not going to be a mistake that they repeat next year because they got an ear full! Autism advocates quickly “liked” their Facebook Fan Page, not with the intention of liking them, but being able to voice their disapproval (I think disgust is a better word but I’m trying to be nice). The awesome folks at Try Defying Gravity have been covering this expertly and really helped with the push towards getting this resolved and resolved, it is… well, sort of. We are very sorry for making you and your families feel dismissed or unappreciated. It was not our intention. Autism is an issue worthy of Parents magazine’s attention and we hope we can move forward together to raise awareness throughout April. They screwed up, they know it. But does a discussion page post tucked away somewhere in the middle of page 2 really make it all better? I think they could do better. But instead of waiting on them to do better, let’s follow in Try Defying Gravity‘s example and do better for ourselves. Update your blogs about this, share this on Twitter and on Facebook and let’s get their hidden message out and give them so much to write about that they’ll need a double thick issue, or better yet, need to devote the next 2 months to Autism. Keep in mind, I am passionate about this because their response ties in perfectly to what I’ve been trying to do, and that is to get people to share their stories on April 2nd. The Awareness is Not Enough campaign is going strong and this is the perfect opportunity to get your story out there to the world. If you’ve been wondering how you can best share your story, this may well be it. So email them. Their email address is in their statement above. Let’s make sure this is a mistake that they never ever make again.